455HP D13 VOLVO/12SPD I-SHIFT/WRK STN! 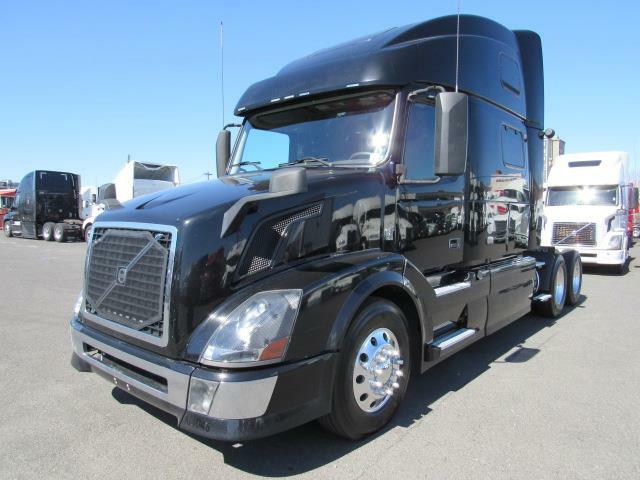 Super reliable high torque Volvo VED13 engine and Volvo 12 Speed I-Shift transmission with EcoTorque feature that increases the engine horsepower when needed as while going up a steep slope with a full load, giving you outstanding fuel economy and more than adequate power when needed. Top of the line Volvo 780 with a spacious double bunk sleeper and tons of storage, a foldable workstation that seats up to four with a table in the center, lots of hookups for your appliances, hood mirrors reducing blind spots, fog lights/engine block heater/heated power mirrors/traction control and diff locks for safety in bad weather!Super smooth front air ride, refrigerator, pwr windows, hands free Bluetooth/AUX/USB, trailer brake, suspension drop, TV mount, fresh PM service, Free Arrow limited warranty!